By Anjali Kaushlesh Dayal and Devin Finn for Denver Dialogues. UN Secretary-General Ban Ki-moon signs the Mayor’s guest book at the Mexico City Hall, September 8, 2009. Photo via United Nations Photo. As the 71st United Nations General Assembly brings world leaders and diplomats together in New York City for conversations and handshakes, high-level diplomats, mediators, and analysts at the organization are consumed with several enormous challenges. These include negotiating aid access and an end to violence in Syria; managing a global refugee crisis; and ensuring governments’ commitments to emissions reductions as part of the Paris Agreement. Shadowing all these decisions is the knowledge that by the 72nd General Assembly, the UN will have a new leader at its helm. Critically, the advent of a new Secretary General has implications for global patterns of cooperation and security and for the international community’s ability to manage complex humanitarian, environmental, and diplomatic crises. Thus far, much of the buzz surrounding the ongoing selection process of the next UNSG has focused on the expectation that a woman will succeed Ban Ki-Moon – no woman has held the post – and that the race itself demonstrates greater transparency and inclusivity. After four straw polls among Security Council members, it appears the former may now be unlikely and the latter may ultimately have little consequence for the outcome, both goals having fallen prey to predictable jockeying between the powerful states on the Security Council who recommend a candidate for the General Assembly to elect. The SG’s office, by virtue of being comparatively undefined, leaves the officeholder space for creative innovation in managing violent disputes; much of how he or she approaches the diplomatic duties of the office will rest on his or her personal commitments and personality. The process by which this individual is selected, however, privileges consensus candidates whose most important qualification is that no great power will veto their advancement. 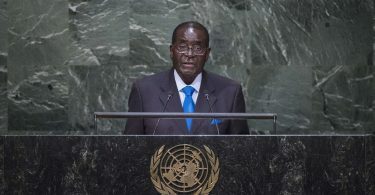 Despite the fraught nature of the process and the comparatively slight scholarly and public attention the SG role receives, the selection warrants attention from scholars of political violence and those interested in future prospects for multilateral action on climate change, conflict resolution, and humanitarian aid. The Secretary General is the United Nations’ chief administrative officer—sitting atop the diplomatic ranks of independent international civil servants—and as a political, administrative, diplomatic, and legal actor who coordinates the work of the UN in the context of member-state interests. Yet both the office and the process by which its occupant is selected are, practically speaking, procedurally underspecified. Different occupants of the office have interpreted the role of the SG in the world differently. One of the most distinctive and far-reaching of SG’s diplomatic functions as we understand it today — the use of his or her good offices, or “steps taken publicly and in private, drawing upon his independence, impartiality and integrity, to prevent international disputes from arising, escalating or spreading”— was an innovation of Dag Hammarskjöld, the second Secretary General. Since then, different SGs have interpreted the tasks of managing violent conflict and disputes based on their own priorities and the pressures they receive from powerful states. Independent of their own commitments to mediation and conflict resolution, however, the SG’s office holds ultimate operational control over peace operations. Today, this role is central to the provision of international peace and security: UN peacekeepers, and the centralized bureaucratic apparatuses that support them, represent a crucial and consistent presence in civil wars around the world. By the end of 2015, there were over 120,000 personnel serving in sixteen UN-led operations. Peace operations have an independent budget that are larger than the rest of the UN’s operational budget; and they are the preferred conflict management tool among the Permanent Five members of the UN Security Council, even when these great powers often agree upon little else. Moreover, most of the UN’s missions are in places of comparatively little strategic interest to the P5, granting the Secretariat more space to use his or her good offices in the service of conflict management. The UNSG selection process, despite being driven by the P5, informs our understanding of what kinds of multilateral involvement in conflict processes its members seek, and what kind of imprint the UN is likely to leave on civil wars over the next decade. Nine votes (of 15) are required to elect a Secretary General, while the successful candidate can have no veto cast against him or her. Smoke and mirrors have traditionally suffused the process. The current, non-permanent members of the Security Council – Angola, Egypt, Japan, Malaysia, New Zealand, Senegal, Spain, Ukraine, Uruguay, and Venezuela – will likely be unable to challenge the P5’s selection. Antonio Guterres, the former Portuguese PM and UN High Commissioner for Refugees, has polled the best. Bulgarian Irina Bokova, who previously headed UNESCO, is the candidate endorsed by Russia, but her straw scores have declined since early rounds (Bokova’s initial success accorded with the expectation that it was an Eastern European’s turn to take the UN reins). In the end, however, the kingmakers seem to privilege other factors, including contemporary geopolitical dynamics, over the content of candidates’ visions or proposals for the work of the world’s peace and security body. The US likely prefers someone who can manage a large bureaucracy and is proactive on human rights and protecting civilians, and sufficiently pragmatic to work with governments to get things done. In his memoir, former US Ambassador John Bolton admitted that Indian Shashi Tharoor’s 2006 candidacy broke “one of the UN’s unwritten conventions, namely that SGs should come from smaller fry [countries].” The notion that the Security Council selected Ban because its member governments, including the United States, perceived him as weak and unlikely to challenge their will, is unsurprising to those who follow UN politics. Reality impels us to call the SG competition what it is: a political decision made by the world’s most powerful governments. If the role is “one of the world’s most high-profile bully pulpits,” many consider that Ban Ki-Moon, in particular, has fallen short in exploiting his voice for political and moral authority when it comes to Syria and UN peacekeeping. Despite intensification of his advocacy efforts over the last year, Ban’s bully pulpit cannot transcend great power interests. This year marks the 50th anniversary of the International Human Rights Covenants. The next SG will face, without doubt, pressure to undertake cultural and bureaucratic changes to protect civilians from violence, a moral commitment that has long defined the UN’s mission, but has proven its most serious and difficult task. The organization’s most powerful members may dictate the course of these efforts, too – the SG’s role will continue to be constrained by great power politics. Even so, the selection of a new SG, and his or her own commitments to – and ideas about – the uses of force and protection of civilians will shape violent conflicts and prospects for cooperation and peace. Anjali Kaushlesh Dayal is Assistant Professor of International Politics at Fordham University. Devin Finn is a post-doctoral research fellow at the Sié Chéou-Kang Center for International Security and Diplomacy at the University of Denver. 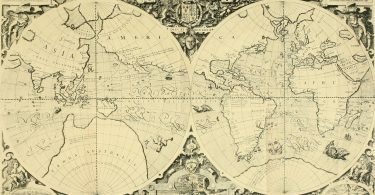 What’s So Important About Territorial Disputes in International Relations?